MINNEAPOLIS, Mn. 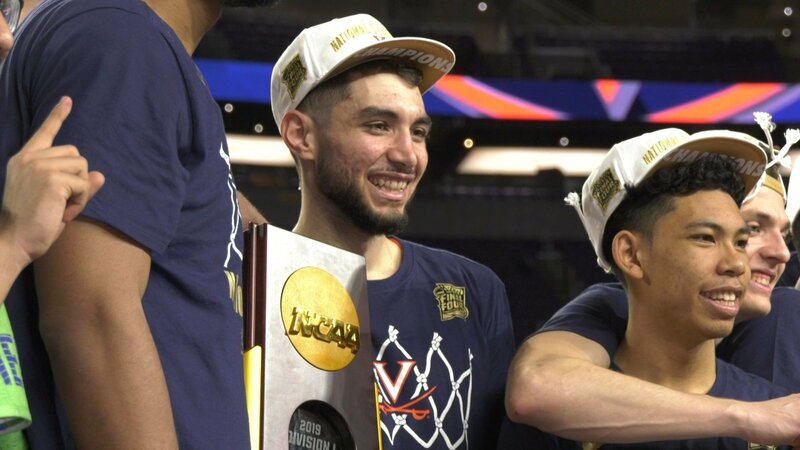 (WVIR) - The UVa basketball team cut down the nets as national champions for the first time in program history Monday night, as the Cavaliers beat Texas Tech 85-77 in overtime in Minneapolis. 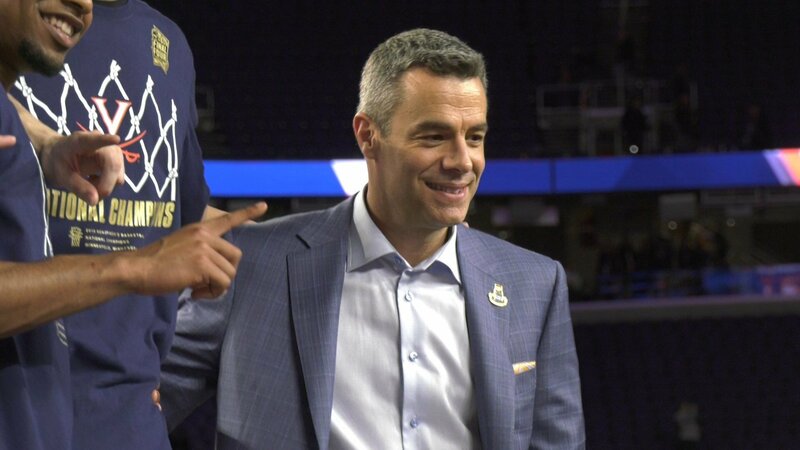 The victory completes a storybook season the Virginia, which won the title just one year after becoming the first 1-seed team to lose to a 16-seed in the NCAA Tournament. 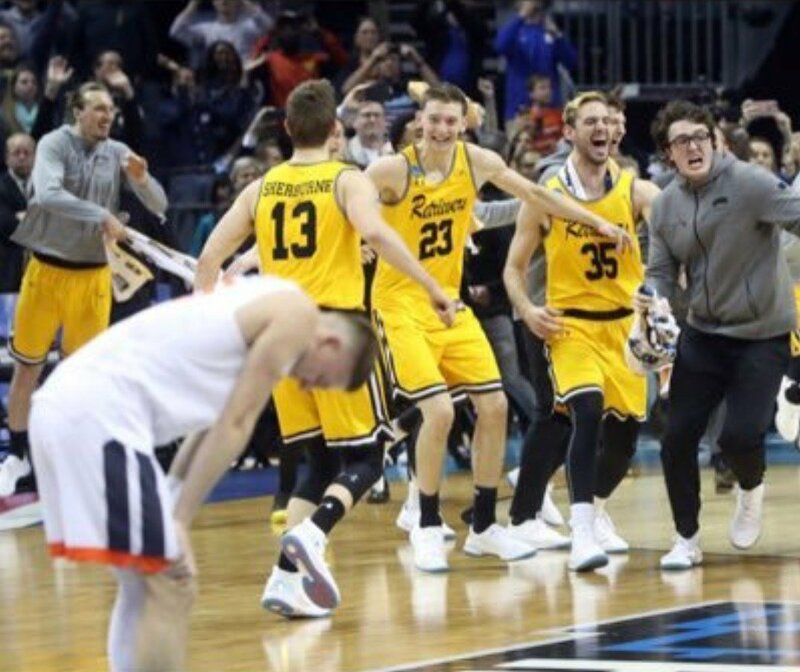 For the last year, Kyle Guy has had a picture of himself on his phone, with his head down, following UVa&apos;s historic loss to UMBC. When Guy walked off the podium following the Cavalier celebration, he immediately found his fiance for a hug. "She was crying, actually, a little bit, and she&apos;s not a crier," says Guy. "I am a crier. I am emotional. I&apos;m gonna bawl like a baby tonight when it sets in." Guy says, "It&apos;s going to be me celebrating. I don&apos;t know which picture yet. I haven&apos;t had a chance to look at my phone, but it&apos;s going to be a happy moment, for sure." Kyle Guy struggled shooting the ball early in the NCAA Tournament, but turned it on in the games that mattered the most. Freshman guard Kihei Clark says, "Kyle hit big shots, made tough finishes, played defense, got steals. He&apos;s a tremendous player, and hat&apos;s off to him." "Just clutch," says senior center Jack Salt. "Just seeing those three free throws in the Auburn game, and then to come out today, and play how he did, he&apos;s an amazing player." Junior guard Ty Jerome says, "Unreal. 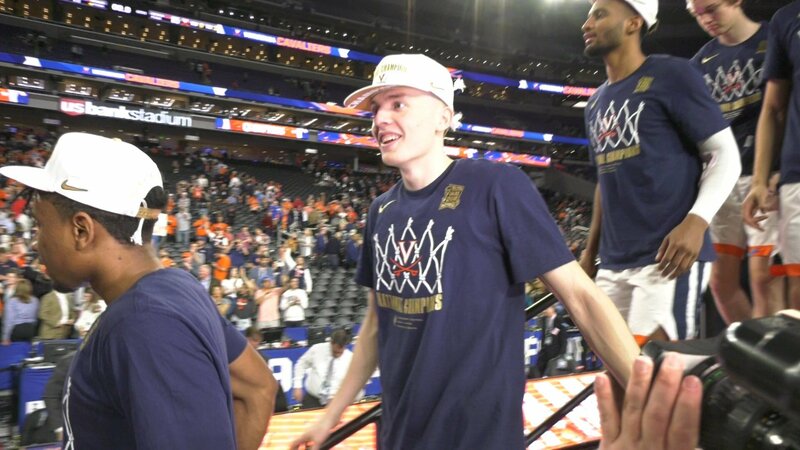 He struggled a little bit from the three-point line in this tournament, and for him to come out and do this in a national championship is unreal." The players in UVa&apos;s 2016 recruiting class have won 89-games over the last three years. "Our guys worked so hard in the off season," says redshirt sophomore De&apos;Andre Hunter. "We knew this moment would come. We&apos;re here, and we won it." Hunter scored a career-high 27 points in the victory. Guy says, "Really excited to bring home the first championship to UVa for basketball. I couldn&apos;t be more thrilled." Jerome adds, "We&apos;re national champions. There&apos;s nothing anyone can say. You can criticize. You can argue the system doesn&apos;t work. You can argue we&apos;re not talented. We&apos;re national champions. You can&apos;t say anything." The title match between UVa and Texas Tech featured two of the best defenses in the nation, but the Wahoos passed the 80 point plateau for the seventh time this season. "We definitely hit the Over," Guy said, with a laugh. Virginia is 7-0 when scoring 80 or more points this season, and 31-1 all-time under Bennett. Hunter and Jerome joined Guy on the NCAA Final Four All-Tournament Team. The Cavaliers finish the season with a program record 35 wins, and the first national title in program history. Virginia Athletics will host a celebration of the 2018-19 NCAA champion men’s basketball team at Scott Stadium on Saturday at 2 PM.